One of my goals for 2014 is to focus on Italy. Not only wine from Italy, but food, architecture, travel, and culture. Some of those things I’ll write about, and others I’ll just enjoy quietly. Of course, I love food and wine from around the world. However, a new collaboration with Lora from Cake Duchess has me thinking about Italy more than anyplace else right now. I started this Italian goal on New Year’s Eve by sipping a very nice Italian red wine, the I Vasari Montepulciano d’Abruzzo 2008 Old Vines from Fratelli Barba. Winner of Gambero Rosso’s Tre Bicchieri award in 2012, this Wine Spectator 90 point, $20 wine has a lot to offer. Dissecting the label on this bottle of wine, the name of the wine is I VASARI, it was produced in the Montepulciano d’Abruzzo DOC region of Italy. The Montepulciano d’ Abruzzo DOC region spans from the Central Apennines foothills down to the Adriatic coast. It’s one of Italy’s most mountainous regions. The grape Montepulciano is a red Italian wine grape variety that is widely planted in central and southern Italy. It’s rarely found in cooler northern Italy, as it typically ripens later, and needs the warmer weather to ripen sufficiently. To carry the Montepulciano d’Abruzzo DOC designation, the wine must be at least 85% Montepulciano, the rest can be the same or Sangiovese. The I Vasari is 100% Montepuciano grapes. Finally, the producer is BARBA, which you find on the bottom of the label. 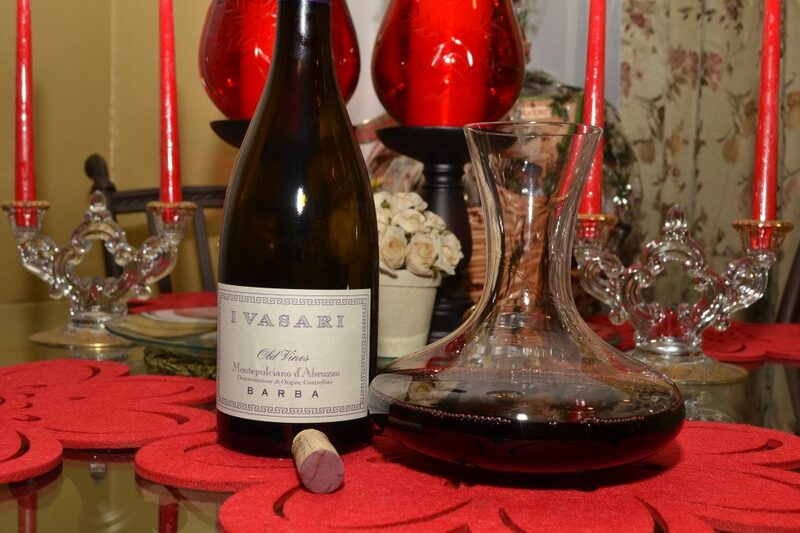 After decanting about 30 minutes, the I Vasari 2008 had a bright purple color in the center of the glass to a purple/garnet outer ring. The nose was not very expressive, dried cherries and tobacco. The palate was dry, a medium body with medium to firm tannins. There were flavors of leather, dried cherries, and a tiny hint of white pepper. The finish was a mix of dried cherries and pine needles. I Vasari grapes are from a single vineyard called Colle delle Corte, which is at 230 feet above sea level. The vineyard overlooks the Adriatic sea in the Colline Teramane, some of the finest growing area for Montepulciano in the entire region. The vines in this vineyard are, on average, 30 years old. 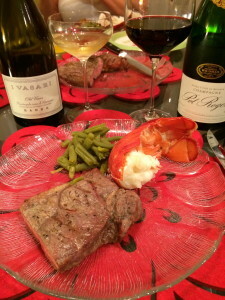 The wine is aged 14 months in French oak, 50% new and 50% used, though it’s well integrated in the flavors of the wine. We sipped this wine while enjoying our New Year’s Eve dinner of Surf & Turf. The meal was a slow one, and over the hour or more that we savored each bite and sip, the wine opened up rather nicely. The dried cherry flavors became much more prominent, while tobacco and new found graphite or mineral notes seemed woven into the fruit. The last sips were indeed savored, and I would give this wine 1 to 1 1/2 hours in the decanter before serving. The I Vasari Montepulciano d’Abruzzo 2008 is a nice, old world wine that for $20, works very nicely with a steak dinner. 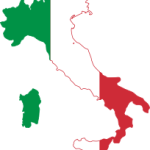 What part of Italy would you like to visit? Leave me a comment, and perhaps we can explore it together! Cin Cin!